The new and innovative Reef Octopus Regal 250-INT in-sump protein skimmer supplies powerful filtration for aquariums up to 600 gallons where sump space is not limited. The Reef Octopus Regal 250-INT is constructed of high-quality cast acrylic that disassembles completely for cleaning. Its hybrid conical body naturally stabilizes and concentrates the organic rich foam as it rises. This Regal skimmer is quipped with a new generation Reef Octopus controllable Direct Current DC-5500S pinwheel skimmer pump which are the latest in variable speed flow technology and allows for refined control, enhanced performance and efficiency. The vast majority of skimmer pumps available to hobbyist are alternating current "AC" pumps (the type of power that comes out of your wall outlet). Direct current pumps have several key advantages over traditional AC pumps. 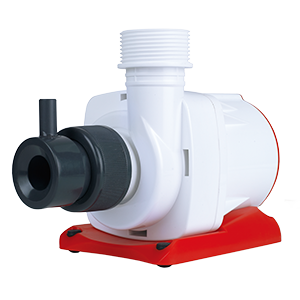 Most notably, you can control the rotational speed of the motor, thus electronically control air and water flow rates into the skimmer. Now the user can have the skimmer process more or less water just by the push of a button!!! Reef Octopus can not be responsible for consequential damages arising from installation or use of this product. Reef Octopus warrants the pump to be free from defects in material and workmanship under normal use and conditions for the warranty period from the date of purchase. CoralVue liability under this warranty shall be limited to repairing or replacing at CoralVues discretion, without charge. CoralVue will not be liable for any cost of removal, installation, transportation, or any other charges which may arise in a warranty claim.